just a quick sneak peek at the fallish fabric i received last week. all are from the Apple collection by Alice Kennedy for Timeless Treasures. of course i was initially attracted because of the sweet owls, but i loved all the others as soon as i saw them as well. i have a tentative plan to have pieces made with these up in the shop by mid-september. Oh my I LOVE the fabric!!!!!! What are you going to make with them? 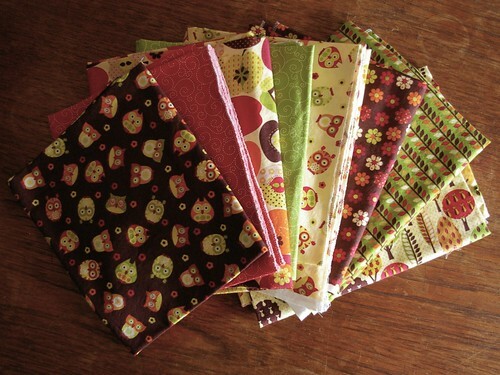 I just bought this fabric as well with hopes that it will someday turn into a small quilt. I love the fall colors and the trees and owls. I can't wait to see what you make with it.